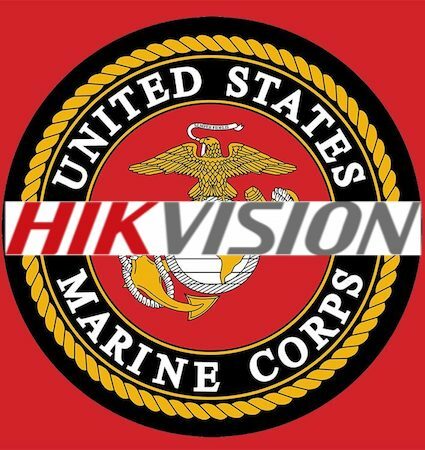 Hikvision is making inroads in the US military. 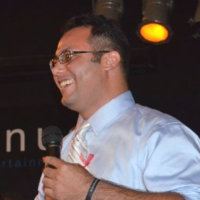 After being removed from a US Army Base and being featured in a US Congressional hearing, Hikvision is progressing again. This time, a US Marine Base has hard specified Hikvision as the only product that meets the Marines needs. But what technology is so special or needed that only Hikvision can provide it? And how are the Marines justifying this? And what distributor's listings are involved? Inside this note, we examine the documentation and answer these questions. ********* ** ****** ******* ** *** ** ********. ***** ************ **** * ** **** ******* ************* ** * ** ************* *******, ********* ** *********** *****. **** ****, * ** ****** **** *** **** ********* ********* as *** **** ******* **** ***** *** ******* *****. *** **** ********** ** ** ******* ** ****** **** **** Hikvision *** ******* **? *** *** *** *** ******* ********** this? *** **** ***********'* ******** *** ********? ****** **** ****, ** ******* *** ************* *** ****** ***** questions. ***** ******, ** ** ******** ** ****, ******** ***** *** distributes *** ********. *** ************* **** *** **** ***** ******* ***** *** ******** Hikvision ******* ** *** **** *** *** '** ******* **** other *******' ***** **** ****. **** ** *********** ** **** ******. *********, *** ** ******* are ***** ******** ****** **** ** **** *** **** ********** used ** ***** ** ***** **********. **** *** *********, **** is ***** ***-*** ********. *********, *********'* ******* ********** ********* *** cybersecurity ****** *** ********. ********, *** ******* ***** *** **** list *** ******* ********* ***** *******, ******* ******* *** ****. And *** **** ****** **** ***** ** *****. *** ********* cameras *** ********* ******* ***** ** *** **** **** '***** cameras' *** ***** *** **** ***** ** *** ****** ******** available. *** ****** ** **** * ***** ************, *** ** *** legion ** *** ******* ******** *** **** *********'* ******* ***** while ******* ****** ***** *********'* ********* *** ******** ********, *********** this ** **** *******.  *** ******* ** *** *** **** numbers ** ******** *** ******* *** **** ** *** *** users. **********, ******, ** *** *********** ****, *** ******* ****** certainly **** **** **** ** **** **** ***. ********* *** *** ********* *** ****** ****** ***** ***** ****** $100 ******* ** *** **** ***** ************ **** *** ** Marines *******. ** **** ****** **** * ****** ** *** **** ** if *** **** ******** ***** ************. ** *** **** ********* how **** ***** ********* ******** *** ***** **** ****** **** Lejeune. *** ****, *** ******* ** *** ************ **** *** ************ is ***** ******* **** *********. ************, ** **** *** *** America *** **** *** ***** *** **** **** *** *** have *** ********** ***** *********'* ******* ********** ********* *** ************* concerns. ****’* * ********* ****** ******. **** *** * *** ****** to *****? * **** *** ******** ***** ** **** **********, *** *** not ** ****** **** ***** ************ ********? *** ******** ****'* ******* ** **** *** *** ******. *** **** ********** ** ** ******* ** ****** **** **** Hikvision *** ******* **? ******* **** ** ** ******** ******** ****; ******** ** * private ******** ******* *** ********* ** ***** ** *** ******* government. *** ********** *** **** ***** ****. ** *** *** ** **** *** **** ***** *** ** it ** ** **** *** ******* *****? **** **** *** ********* ******* *** *** ******* ** **** spec *** ******* *****, *** ** ***** *** *** **** caught *** *** *********/****. ******** ** **** *** *** **** ******. **** ******** *** **** ******* ** ************. **** **, ** marketed ** *** **********, * ********* ******, **** *** *****. * ******** ****. ***** **** ** *** ********* ******? * *** ********* ** ********* ** **** *,* *** *. All ********* ********* ** *** ********** ****. ****, **** *** ***** **** * *** '** *****'. ** *****, *** ***** ** ********* ******* **'* **** *** like ** *** *** **** *** ******* ** *** *****. Simular ** *** ***** *** '******* ***** ********* ******'. *** **** *** ********* ** ***** *** ******* ********. ** **** ****, **** ****'* ******* ********* ** **** ** strange ** **** ****'* **** *****. **** **** **** ******* of ******** *** *** **** ******. ** **** ********** ** your ****, **** *** **** ******. *'* ******* ** *** ******** *** ********* *****. ***** *** can ***** *** *******, ** ****** ***********. *** ***** *** like **** * ** '*** ***' *** *** ***** ***** rational ** **. * *** *** *** *** ******** ****** ** **** *******, thanks *** ******* **. ** ********, ** **** ********* ****** ** ** *** ******* the *****. * ** ****** ******* (*** *** *** *** ***** ** 'pro-hik *******') ***** *** ********** *** ********** **** ** ***. It *** ***** *** ***** *** ****** **** **** **** in ** *** ******* ** ** *******. *************** ********* ** *** ***. **** ** ***** ****** ** reads '*********' *** '**********'(*****). *** * ** **** ** *** *****. ** ***** ** ********, **** ***** ***** ******* *** ***** recorders *** **** ** *** *****. ********. * ****** ****** ***** ****** ** ******* ******** ** Ubiquiti *** ** ********** ** ******* (******* **** ****** **** you **** *, ** *** **** ********). **** **'* ******** ********** ***'* ** **** ***** ** *********. Not ** **** **** ** ** *******, ***** ****. * *** ******** ** *** *****, * ********. ** ******* to ******* *** ********** **** ** *** *****, *** *** Hik ****** ****** ** *** ********, **** * **** ** a *****. ********, ***** *** *** ********** ** ****** **** ******* *********. *****, * ** ****** **** ******* * ** ******* (****) is *** **** *** *********. * ** ****** **** ******* a ******* ********** ************ ************ ****** **. * *** ** **** ***** ** ****. ********* ************ ******, I *** ******* *** ** ***** ********** *** ******** **** flag ********. ** *** ***** ******* * ******* *** ***** ****** ****** the **** *** ********. *'** ***** ** ** ****. * ***** ** **** **** valid ****** *** *** ********* *********** ** ********* **** ***** desired ******, *'** **** *********** ** **** ******, ******** ** the ******. ******** ** *** ** *** ** **** *** ***** ************ professionals ** *********. ******** ** **** #** ** ***** ************ sales, ********* ** #*. ********, * ********** **** *********** ** **** ******. *** *** certainly ****** ******* ******** ****** ** **** ******* *** *** not ** ********** ** ********* ** * ** ******* ****. *** ******* ********* ********* (**; ********). ****: ** **** - ******* **** **** **** ***** *****, ah ****! **** ****** **** ***** *** ******* (** **** **) ****** working *** *** ****. *** ****** **** ****** ***** **** spec ** ******** ******* ** *** ** ****. * **** bid * ******* ** ****** **** ** ** ********** **** that ******** * ******* **** *** *** ****** *****. **** me * **** ** ******** **** ** ***** ********* *** save **** **** * ******* ** ******* ****, *** * did *** *** *******. **** ******* * **** ** ******* a ******* ***, ** *******'* **** ******* **** ******* *******. Goal ****** ** ********** * ************ **** ***** *** * trusted *******, *** * ******. **** *** **** **** ****** that ****** ***** *** ****, ** ****** *** ****** *** a *** ******, **** ***** ***** **** *** **** *** have ** ****. **** ***** ******* *** **** ****. *** ************ * $*** **** *** ** * **** **** that. **** ** ***** ** ** *** ****? ** * ******** ** *** *** ******** ********, *** * former ****** ********* ** **** *******, * **** *** *********** in **** ********** ** ** ******** ********. *****, **** ** * **** ******, *** *'* *** **** I ***** **** *** **; *** *** $*** *** **** four $*** ******* *** *** $*** ******. ******, **** * ****** ****** ** ********* *** **** ******* critical **********. ** ** ********* ** ******** **** * ***** military **** ** **** **** **** * ***** ****. ***** are ************* **** **** ******, ****** ***********, ****** ******, ******* centers, ****** *****, ***** ********, *** ** **. **** ****** might ****** ** ***** ** * *** **** ****** ***** or ******** *** ******** ***** ** * **** ***, ****** to ******** ***'* *** ********* *** ******* ********. #*, *** **** ****** ************* ********* ** ** *** * warehouse. **** ** ** *** ********* ** *** *****. ****, *** these ******* *** ***** ********* ** *** *********. ****** *** **** *************, **** **** **** ** ***** ** be *** "*********** ***** ** *** ********* ** *** ********". ***, * ********* ********* **** *** ****'* ****** ** ******* landfill **** **. **** **** ***** ****. ******* *** ****** ******* *** ***** *** ****** *** ********* at **** ************ *** ** **** **** **** *** *****. *** *** ***** ***** **** *********, *** ***** *** ****** other ******* **** ** ***** ******** ** ******** **** ****** and *********** / ***** *** *** *** **********. *** ****** ***** *** ******** ******** ********* ** ***** *** the *********** ** **** ********** *********. ** **** ****, ** seems **** *** ******* *** ************. *** **** ****** ****: the ***** ******** ** *** *********** ** *** ****** ***’* fully ********** *** ****** “******** ****** *******” ****. ** **** are ********** * ******* ** ******* ** *** ********, **’* easy ** *** *** *** ***** ***** ** **** ****** as * ***** ***** ** ********** ********* ** ********* **** and *** **** ******. ** **** ** ***** * ********** system, *** ******** ***** *** ******* **********…*** *** **** **** at *****. ***** ******* ******* **** ****’* **** ** ******* their ****** ** **** ****** ** ****** *****, ***. ******* *** *** ********* *** **** **** **** *** ***** as * ***** *** *** ****** ****. *************, ********* ******* things ****, ******* ***** ******* *** *********** ******** ****** *** organization **********. ** *** ***, * ***** *** *********** ******* and *** ******** ********** **** **** * ****** **** ******** on ****** ***** ************ *******. * *** ** ***** *** folks *** ****** ** **** *** ***** **** * ****** about ********* *** ************, **** *** *** ******* ***** ** better ***. * **** *** ******* ** ******* *** ***** email ********* ** ***’* **** ** ******* **** **** * complimentary ************. *********, ************ **** ********* **** ** * ******** *********** *** folks ** *** *********** *********, *** **** **** ****** ********** their **** ** ******* *** ******’* **** ******. **** **** #*. ******** *** *******, ******* *** **'* ***********, then ******* * ***. ****'* *** **'* ****. **** * *** * **** ********* **** ... ** ***** a ****, ********** ** ********** ********* ** **. **** **** for ******** ** **** ** ** **** *** ***. * full *** ****** **** ***** ***** **** ** ********. ** the *********** ** *** ******** **** **** *** **. ** ********, ****** ***** *** ********* **** ** ******* "****** to ******". * **** **** *** **** **** *** ***** be ** ** ** **** **** *****-*** *** *** ***** application. * ***** ******* *** * ********** *** *** *************, **** client **** ***** ** *** ** *** ***** ****. ** there ****** ** ** * *** ********** ** *** ****, a ***** "****" *********** *** ** ****. **** ****** - **** ** ********** ** ***** ************ ** the ************ - ** ********* ****** *******. Question: **** **** ************ ****** **** ***** *** ********** ******? ******: * ***** **** *** ****, *** ******* ** *** solicitation *** ** **** *** ************ ** ***** ******* **** Hikvision. ************, ** **** *** *** ******* *** **** *** apply *** **** **** *** *** **** *** ********** ***** Hikvision's ******* ********** ********* *** ************* ********. ***. **** ***** **** **** ** **** **********.